Squeeze in owners, from left, Gary and Misty Young and Shila and Chad Morris, at the opening of a franchise location in Las Vegas. The Youngs are Shila Morris' parents. 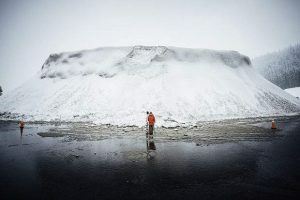 Visit squeezein.com to learn more about Squeeze In, the story of which begins way back in 1974 when a tiny little kitchen started selling omelettes to locals and tourists in Historic Downtown Truckee. RENO, Nev. — Sometimes loyalty has its rewards. 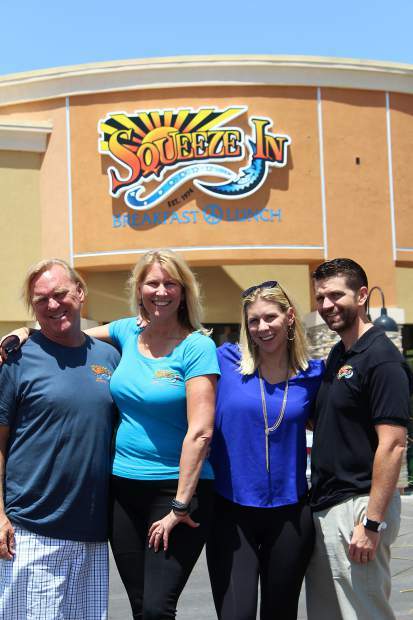 When Shila Morris, president and co-owner of Truckee-based Squeeze In, decided to take the iconic restaurant concept into the franchise business, she had no idea the first two Squeeze In franchise owners would both come from the restaurant’s Egghead loyalty club. It’s a natural fit, Morris says. “We have spent time cultivating relationships with these people, and it makes sense that they would be the ones who want to bring (Squeeze In) to another community,” she says. Squeeze In operates five family-owned restaurants in Northern Nevada/California: two in Reno; one in Sparks; one in Redwood City, Calif.; and the original Squeeze In in Historic Downtown Truckee. There are nine franchise locations, most still in various stages of development. Of eight locations planned for Las Vegas, one is already open, and a second is slated to open in early December. The other six are in early-stage development, such as site selection or lease negotiations. There also is a Squeeze In planned in Santa Clara. The franchisee has signed a lease and expects to open the restaurant in late 2017. And there are conversations in the works to develop Squeeze In franchises in Florida and Texas, as well as additional locations in California. Even though the franchise business has grown at a slow but steady clip, it might not have had any wings at all were it not for a goofy parody video made by the Squeeze In staff. Squeeze’s “Omelet Style,” a spoof of the viral blockbuster “Gangnam Style” by South Korean musician Psy, went viral in its own right. Morris got a call one day from a franchising company on the East Coast who saw the video and put the franchise bug in her ear. The Squeeze In management team — Morris and her husband Chad, and her parents and founders Misty and Gary Young — was looking to grow, but it already was at capacity owning five restaurants. Franchising proved to be a natural expansion route. Growing the brand proved to be a bit of a challenge for the management team, especially in Las Vegas. In Northern Nevada/California, Squeeze In benefited from brand recognition. In Sin City, it’s just one more restaurant in an extremely saturated market. Franchise growth to date has been completely organic, but the Squeeze In team is eager to pursue franchise advertising to broaden its reach and market franchise sales with renewed focus. And its growth plan is ambitious: 50 franchise locations by 2020. Morris admits it’s going to take a lot of work — and some very specific targeted marketing in key development markets — to hit that target. Squeeze In provides its franchisees with a plan that walks them through the entire process of opening a restaurant, from early lease negotiations to first-day opening and beyond. They make sure franchisees know that opening a restaurant is no easy job. Even though there is a master plan, there also is room for owners to tailor their restaurants to individual preferences. 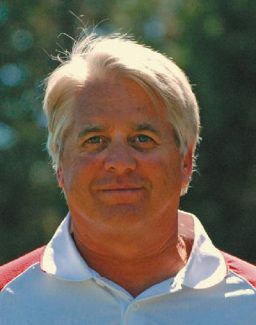 For instance, local Squeeze In locations serve breads from Truckee Sourdough Company and locally roasted coffee, but the franchisor encourages its franchisees to do the same in their hometowns. Decorations also have local flavor — you won’t find any Wolf Pack blue in the Las Vegas locations but rather Rebel red. The permitting process also varies from place to place and requires a meticulous approach, Morris says. The franchise game is still relatively new and poses new problems and challenges, but jumping over hurdles is old hat for the family. Morris eyes the next few years confidently. 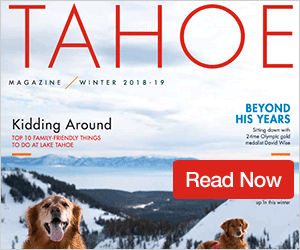 The Northern Nevada Business Weekly is a sister media organization of the Sierra Sun’s that covers business news and trends in the Reno market and throughout Northern Nevada.